Replica of Sans Pareil, Manchester Museum of Science & Industry, 15 September 2005 1. 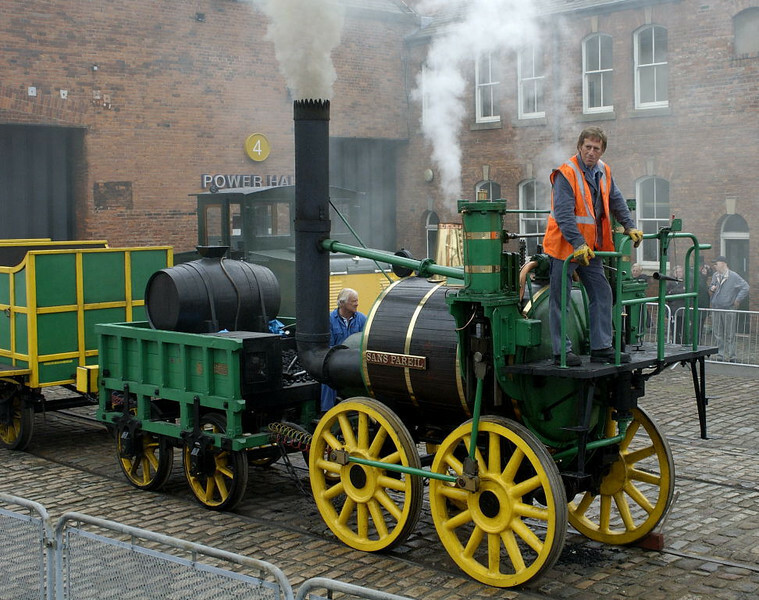 This working replica was built at Shildon for the Rocket 150 event, held to celebrate the 150th anniversary of the Liverpool & Manchester Rly in 1980. It is seen during the Riot of Steam held by the Manchester museum to celebrate the Rly's 175th anniversary.